They call it the race that stops a nation and the Melbourne Cup must be the only race in the world that has the power to do just that. This year sees 10 from the UK and Ireland bid to claim the crown (in the UK’s case for the first time) and there are also a few others who started their careers over here so there are plenty of familiar names for UK and Irish punters among the 24 runners. Just before I get into the runners it is worth mentioning the weather. The Flemington track was a Good 3 on Saturday and there is a bit of rain forecast on Monday and Tuesday morning, but I suspect it won’t be worse than a Soft 5 and it might only be a Good 4 (ratings go from 1-10 in Australia). Best Solution – Was given one of the best rides I have seen in a while by Pat Cosgrave to win the Caulfield Cup. The horse missed the break from a poor draw, but the decision from Cosgrave to ask the horse to get to a prominent position was one of two moves which helped him win the race. The second move was then Cosgrave decided to go with James McDonald on The Taj Mahal when he made his move going into the final bend. If he had not done both of those things I don’t think the horse would have won. They went a crawl even for Australian racing and the final time was about 50L slower than the Caulfield record over 2400m. Because of that I think the form is suspect and with him unproven at the trip I just can’t see him adding to his Caulfield Cup win. Also worth pointing out that Makybe Diva in 2005 is the only horse since 1975 to carry more than 57kg to victory. The Cliffsofmoher – He has run well in both of his Australian runs so far when finishing an eye-catching 4th in the Caulfield Stakes and then 3rd in the Caulfield Cup. What I didn’t like in the later though was the fact he wanted to lay in and he hasn’t always looked the most resolute in his European runs either. If he does that again here then hard to see him winning from a high weight, but he does have a good draw and if he hit the frame it wouldn’t surprise. 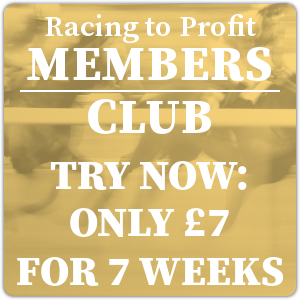 Magic Circle – He is the horse I have liked for this race since his really impressive wins in the Chester Cup and the Henry II Stakes at Sandown. Both victories clearly showed he is progressing and he looks to have a turn of foot although I would be slightly worried if it was run at a crawl like the Caulfield Cup. Booking two time Cup winner Corey Brown was a good move as he clearly knows how to ride the race. The two concerns I have are the draw which is on the high side in 17 and the fact he hasn’t seen the track since May. Is he going to be good enough to win a race like this after such a long lay-off? Well possibly given he bolted up in the Chester Cup and at the very least I think he will hit the frame. Chestnut Coat – Despite the fact the Caulfield Cup wasn’t run to suit he wasn’t attacking the line clocking 13.02 for the final furlong and on the back of that run he is hard to fancy for this. Muntahaa – First of all I am going to mention the jockey as I think it was a pretty shrewd move of Jim Crowley to have been riding in Australia already. He rode a double at Bendigo last Wednesday and was 2nd in a Group 2 at Flemington on Saturday. Ebor winners have a good record in this race and to win at York off a mark of 109 having been drawn in 21 was a superb performance. He has sometimes lacked a kick at the finish in the past, but there was certainly nothing wrong with the way he finished at York and he looks to have very good claims. 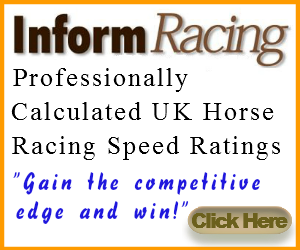 Sound Check – This race should suit him better than the Caulfield Cup and he was only beaten a neck by Best Solution in his last start in Germany. The problem is I would have liked to have seen more from him at Caulfield and he probably has enough weight. Who Shot Thebarman – This will be his 4th Cup having been 3rd in 2014, 11th in 2015 and 5th in 2016. Ran well enough behind Ventura Storm in the Moonee Valley Cup last time and did win the Sydney Cup back in April. He is an unlikely winner, but if he finished in the top 7/8 I wouldn’t be surprised at all. Ace High – Ran an absolute shocker in the Caulfield Cup given he had the run of the race by setting the slow tempo up front. I liked his chances for that race beforehand, but he is impossible to back for this on the back of that effort. What I will say was he probably needs a firmer track than he got last time, but then he looks unlikely to get that here. Marmelo – I fancied him for this last year, but after hitting the front he had nothing there and ended up finishing a disappointing 9th. He went off joint fav last year on the back of a very eye-catching 6th in the Caulfield Cup. This time around Hughie Morrison has decided not to have a prep run first as he felt it sent him backwards and given the way he ran in both races that seems a sound theory. Was 2nd in the Group 2 at Deauville last time in the race in won last year, but the winner has franked the form since and there is every reason to think he can improve on last year’s 9th. Has Hugh Bowman on top as well and he is at the top of his game at the moment. Has a great draw in 10 as well. Avillius – Godolphin are desperate to win this race and he comes from their Australian trainer James Cummings (a name obviously closely associated with this race). James trained a treble at Flemington on Saturday so his horses are in good form and he won his first 4 starts in Australia having come from France and 10 months off the track. He then ran in the Cox Plate when finishing 4th to Winx, which was an OK run. He was also 2nd to Cracksman in the Prix Neil last year so has form with world class horses, but I just wonder if his winning form is good enough. The win in the Bart Cummings a month ago did scream to me like he needed another 4 furlongs either although he showed plenty of guts to win. He wouldn’t be a surprise winner, but at the same time I am happy to leave him alone. Yucatan – Was devastating in his win in the Herbert Power at Caulfield last time and the form was franked on Saturday when the 3rd and 2nd finished 1st and 2nd in the Lexus. If he repeats that then he is probably the most likely winner, but I am not sure he will repeat it. His form in Europe is very mixed, the trip is a concern and finally the draw of 23 could barely be any worse. He could be one of those horses who might just improve for being in Australia, but he is short enough in the market for me and I am happy to take him on. Auvray – More likely to finish last than win. Finch – Ran well enough on his Australian debut finishing 3rd in the Geelong Cup, but I am not sure it was the strongest contest this year. Did win a Group 3 at Deauville on his start in France, but his overall form doesn’t strike Melbourne Cup winner to me and I think his trainer has a much better contender. Red Cardinal – Has been in terrible form so far this prep and hard to see how he can improve on his 11th in this last year, although he is trained by Darren Weir and that man can seemingly work miracles. Vengeur Masque – Won a Group 3 at the Carnival last year, but his runs since have been pretty average and he has ground to make up on Avilius and a few of these based on his Geelong Cup 9th. Ventura Storm – Was another who I fancied to run a big race in this last year, but he only finished 21st. Given he was 2nd in a St Leger you would think he would stay this far, but it doesn’t seem that he does. On that St Leger running he has the beating of Muntahaa although that was 2 years ago now. Was another to not be suited by the way the Caulfield Cup was run and he then went and won the Moonee Valley Cup the week after. He comes into the race in good form again and I am wary of him and it could be his run in this last year was too bad to be true so better is expected. A Prince Of Arran – Was great to see him give Charlie Fellowes a big race win in the Lexus Stakes on Saturday which secured his place in the field and that was on the back of finishing 3rd to Yucatan in the Herbert Power. In an ideal world though he wouldn’t have run in the Lexus and it is a big ask of him to back up that win just 3 days later. Nakeeta – Has been in pretty poor form all year and I am a bit surprised they have sent him over again as he certainly is nowhere near the form he was in when 5th in this last year. Was well behind Ventura Storm in the Moonee Valley Cup as well. Sir Charles Road – Pretty consistent and did beat Ventura Storm to win a Group 2 at Randwick in April, but hard to think he is going to be good enough to win this. Zacada – 200/1 for a reason and has little chance. Runaway – Looks the likely leader and was impressive when winning the VRC St Leger over 2800m here back in April, but the form of that race is not strong and although he did well to make all in the Geelong Cup last time, again I don’t think the form is all that strong. Youngstar – The main query with her is if she will stay as she has never raced beyond 2400m before, but if she does I think she has a massive chance. The 2nd in the Turnbull behind Winx was a huge run and on the back of that she was fancied by me to run a big race in the Caulfield Cup, but she had no chance that day. Stuck near the back in a slowly run race she was never going to win, but she recorded the fastest final furlong of the race to finish 7th just 4 and half lengths off the winner. She clearly has a potent turn of foot and if she can produce that at the end of 2m then I don’t think she will be far away. She has a great draw in 8 and Chris Waller will be hoping to add this to Winx’s 4th Cox Plate. Cross Counter – Only 3 but I think he rates Godolphin’s best chance of finally getting a win in this famous race. He was impressive in the Gordon Stakes and went down fighting in the Great Voltigeur when 2nd. Was 4th in the King George V Stakes at Royal Ascot so has some big field handicap form, but I would also go on the side of experience in this contest and as much as he can run well I think winning will be a step too far. Rostropovich – Was 2nd in the King Edward VII at Royal Ascot and then 2nd in the Irish Derby so in theory he could be well handicapped given the allowances he gets as a 3yo. He was 5th in the Cox Plate behind Winx and I must admit I thought it was a pretty average run which didn’t exactly strike me as a good prep ahead of this. I think there are a few reasons to take on Yucatan for all that he was impressive in the Herbert Power. I’m not sure he will back that effort up and he faces a really tough ask from 23, but if he does perform as he did last time then he won’t be far away. The Cliffsofmoher and Cross Counter both have place claims and Ventura Storm could be the best of the bigger prices, but my 4 to focus on are Magic Circle, Muntahaa, Marmelo, and Youngstar. I have been tossing up which one to put up as the main selection but I keep coming back to my long term fancy Magic Circle. There is a slight worry about the draw and the lack of a recent run, but he was in peak form when we last saw him in May and this has been the long term plan. With Skybet going 7 places and others going 6 and 5 (in Australia it is only 3 places!) then if he runs to form I don’t see how he will be out of the top 7 and he strikes me as the most likely winner. Youngstar is a huge price for me and the main chance for the Aussies. She was great in the Turnbull and ran a huge prep run in the Caulfield Cup where the lack of pace was against her, but she was finishing the quickest at the line. If she stays I don’t think she will be far away. Ebor winners always tend to run well and Muntahaa should be more than capable of continuing that here so he comes next. Finally I think Marmelo is capable of running much better than he did last year and to be fair given he was 9th he only has to finish 2 places better and you would get paid out each-way with Skybet. Coming here as a fresh horse should suit him much better than when he came via the Caulfield Cup last year. The race is due off at 4am in the morning and will be live on At The Races. I can also recommend watching the Racing.com coverage which is available to watch on their website. As one of the former shareholders in Ventura Storm (before he was sold to Aussie), we didn’t feel he got home in the Leger, so I can’t fancy him, despite the fact that his recent win at 12f was impressive, with him having the field covered from halfway. I’ve backed Nakeeta on the grounds of value at 100/1 – he was only beaten 5.5l when badly drawn in 19 in 2017. Tomorrow, he’s in three, though, if anything it looks an even stronger heat.